Oil futures are subject to limits on contracts held, minimum margin and price movements. Oil futures are contracts to buy or sell a fixed quantity and quality of oil for delivery on a future date at a price agreed upon in advance. These futures are traded on futures exchanges like the New York Mercantile Exchange -- NYMEX -- and the Intercontinental Exchange, known as ICE. Contracts specify different grades and sources of oil. Futures contracts representing 7.5 million barrels of oil are open daily on the NYMEX. The Commodity Futures Trading Commission and the specific exchange on which the oil is trading can impose limits on the specific number of contracts one investors can purchase at any given time. An oil future is a contract that allows an investor to either buy or sell a specific quantity of oil for an agreed-upon price at a pre-determined date in the future. Certain exchanges may impose limits or further regulation when an investor holds a specific number of oil futures contracts. Oil contracts usually require physical delivery of the specified number of barrels, but cash-only contracts are also available. The cash contracts are for speculators who want to participate in the futures market but are not interested in physical delivery. 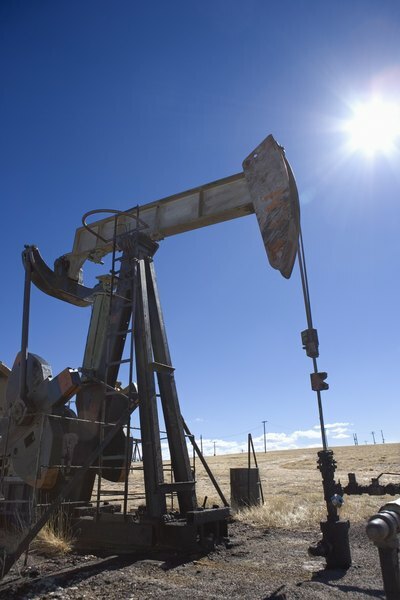 A NYMEX contract for light sweet crude oil, denoted as the CR contract, represents 1,000 42-gallon barrels that must be delivered by the contract seller to the oil storage facility in Cushing, Oklahoma, by the end of the stated delivery period. Contracts are denominated in U.S. dollars and expire on the third business day before the 25th day of the contract expiration month. Delivery takes place in the following month. Position limits vary by exchange and type of contract. NYMEX and ICE share two separate mechanisms to control the number of contracts, or positions, held by a trader. The first, accountability, is not a strict limit but rather a level of investment that triggers one of several actions by the exchange, such as demanding a reduction in a position, waiver of position limits or doing nothing. Accountability reporting for the light crude oil contract is triggered by total positions of 20,000 contracts, or 10,000 contracts expiring in any one month. The second control mechanism is position limits, which are strictly enforced. The exchanges limit traders to 3,000 crude oil contracts that expire in the current month. Hedgers -- traders with offsetting bought and sold contracts or who have physical ownership of the underlying commodity -- may qualify for higher contract limits. Most futures are traded through brokerage margin accounts. Margin is the cash deposit a trader must post for each contract held. Margin requirements usually range between 2 and 10 percent of contract value, depending on the exchange, contract type and expiration date. NYMEX requires initial margin of $6,210 per contract for crude oil futures expiring within one year and less for later expirations. Margin must be maintained throughout the life of the contract; maintenance margin on the NYMEX contract is $3,600. If the cash in a margin account falls below the maintenance level, the exchange will issue a margin call. If the trader doesn’t replenish the account by the next day, the exchange will terminate the trader’s contracts. The minimum price change on a crude oil contract is 1 cent per barrel. Trading halts on NYMEX CR contracts can be triggered by a price change of $10 per barrel, as compared to the closing price from the previous trading day, in any of the nine closest contract expiration months. The initial halt lasts five minutes and applies to all contract months. Trading in options on crude oil futures is subject to the same halt. Further wide price fluctuations following the resumption of trading can prompt the exchange to issue additional halts. How Do I Invest in Oil Commodities or Stocks? Can COMEX Default on Delivery? Why Are There Exchange Fees on Trading Futures?